Communication problems are at the heart of many marriage problems. Lack of good communication with your husband leaves you feeling frustrated, unheard, and wondering how the heck to get through to him. The good news is that most communication problems can be solved, with a little time and effort, and once they are, your marriage will be stronger than before. Learning to communicate well draws you closer together and promotes intimacy. Hope is definitely on the horizon – but you have to get past those communication problems first. One surprisingly simple but effective way to solve your husband communication problems is learning his love language. Ready to dive in? Words of affirmation – he lights up when he gets a compliment and responds well to talking things through. Physical touch – he loves to be held, enjoys hand holding, and appreciates physical intimacy. He’s always brushing your hair off your face or putting an arm around your waist. Quality time – he craves meaningful, unhurried time with you so the two of you can bond and enjoy each other’s company. Acts of service – he loves to know you’ve got his back. You’re a team, in this together, and he responds well to practical help and tangible action. Is he a talker? If he likes to compliment you, tell you he loves you, or ask you questions about your day, his love language is words of affirmation. Does he love to hold and touch you? If your partner gives you foot rubs or back massages, kisses or holds hands in public, or laces your fingers when you’re watching Netflix, his love language is physical touch. Do you know you can make your his day with a gift? If he lights up when you give him a meaningful gift, especially one chosen with care, or a small token when it’s not a special occasion, his love language is receiving gifts. Does he get a huge smile on his face when you make plans for a vacation or set up a date night together? Does he love spending time on shared hobbies or just relaxing with a movie? Then his love language is quality time. Does he help you with those little daily tasks, or ask for your help with his? Is he always ready with a practical suggestion or an offer of help? His love language is acts of service. Paying attention to how your partner treats you will unlock the secrets of his love language. We often express love in the way we want to receive love, so watching how he shows his love for you will give you plenty of cues to his love language. Of course, your husband is the expert on his own love language, so why not talk to him about? 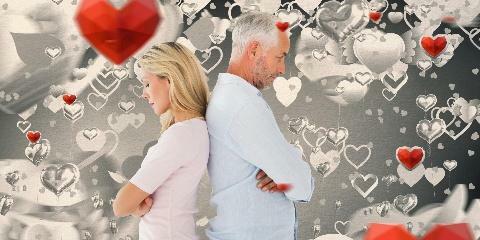 Share this article on husband communication problems, or take the quiz together. Ask him what makes him feel loved and valued the most. Once you know your husband’s love language, you know how best to communicate with him. Each person’s love language is the one they “hear” the best. It’s the gateway to better communications all around, like going to a new country and taking a great guidebook with you. Words of affirmation: Tell him regularly that you appreciate him. Encourage him. Tell him what you love about him. Surprise him with a love note in his briefcase, or loving text message throughout the day. Physical touch: Make physical intimacy a priority. Connect physically throughout the day.Hold his hand, offer him a foot rub, or sit snuggled up to him when you watch TV. Receiving gifts: Surprise him with small gifts that say “I thought of you.” It doesn’t have to be elaborate – simply picking up his favorite coffee to go or snagging his favorite grooming product when you see it on sale are great ways to let him know you thought of him. Quality time: Plan some quality time together. Set a regular date night, and make time for romantic walks, picnics, coffee dates or doing hobbies together. Try to work in a couple of weekend getaways this year. Acts of service: Step up and help him with daily tasks. Take a few chores off his hands, or help him with a project he’s working on. Offer to do things to lighten his workload and make his life easier. Learning your husband’s love language makes it much easier to foster goodwill and open communications between you, opening the door to deeper discussions, rendering effective solutions to husband communication problems and a closer, happier marriage. The Relationship Personality Profile Quiz.